OST and PST files are both essential in Microsoft Outlook since OST files are used to save the data from Exchange server whereas PST files are used to store the real data. OST files are offline storage files while PST files are used to store calendars, Notes, Tasks etc. Why to convert OST to PST format? This is why we need OST to PST file migration. How to convert OST to PST with an easy way? There are two ways to convert OST to PST files that you can use. The first method is the old method which involves manual migration of OST files to PST. Note: For this method, you need to have an Exchange server connection and Outlook installed in the local computer. Note: With the archive method, you can migrate all OST data except for the contacts. 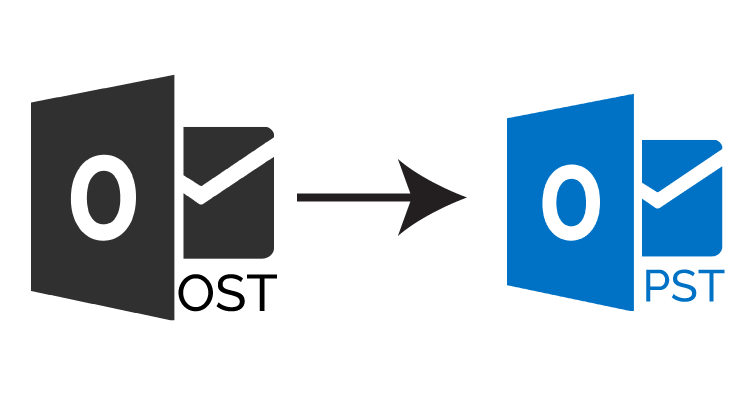 With this method, you can convert Mailbox items of OST file to a new PST file. So above are the three manual ways to convert OST to PST files. These are free methods and can be used by anyone who wants to convert OST to PST. However, manual methods are not advised for those users who cannot afford to take any risks with their OST data. Manual methods have certain limitations and it is essential to be aware of them. However, if you want to avoid these setbacks, you can use another method of OST to PST conversion which is the use of automatic professional tools. Shoviv OST to PST converter is a certified solution to safely convert OST files to PST files without any risk. The tool has been created to safely recover and convert OST files without needing any experience. The tool has been created especially for normal users who want to migrate OST files to PST format without taking any chances. The tool offers you great results and comes with a set of powerful features which makes it the best OST to PST converter. Interested? Try it for free! You can now test the free demo of the Shoviv OST to PST converter. The free trial has been created to ensure that all interested users are able to check out the results before they go ahead to upgrade. The full version is easily affordable and comes with great benefits too. You can export 25 items per folder so that you can be sure that this is the tool that you want. Once you upgrade, there is no limit to the files you can convert.